Welcome to Olusola Olaniyi's Planet blog : President Buhari, VP Osibanjo, Saraki celebrates Independence day with fruit Juice lool!!!!!!!!! 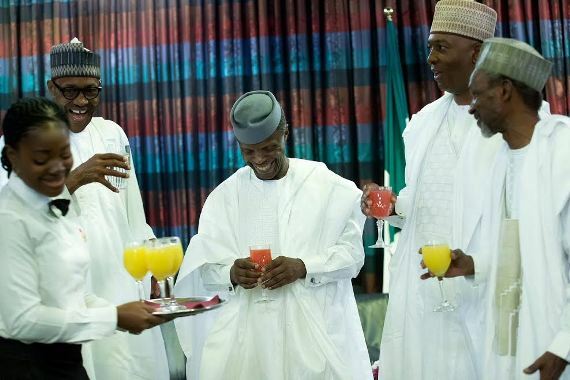 President Buhari, VP Osibanjo, Saraki celebrates Independence day with fruit Juice lool!!!!!!!! !